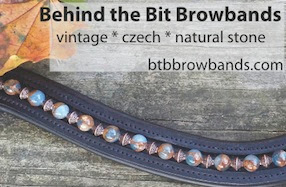 Behind the Bit: Jeweltone browband and discount on browbands! Jeweltone browband and discount on browbands! 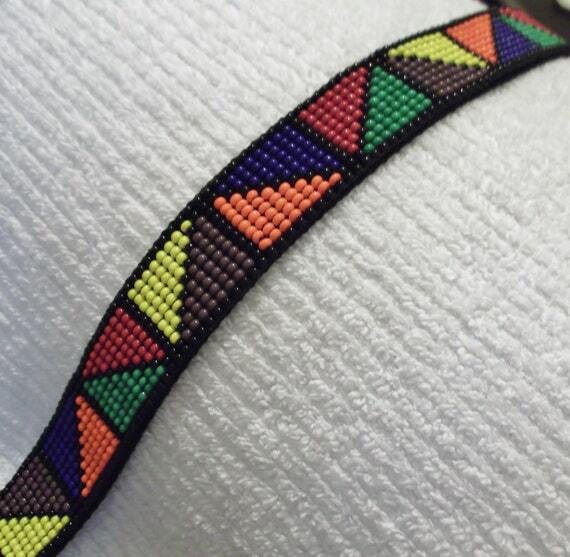 I love this Etsy shop and now they have a Contrasting Colors Triangles Woven Beads Browband that I think "any horse can wear." From June 4-10 there is a 10% off coupon offer, WBBTENOFF, which is used at checkout on anything in stock, PLUS shipping is free! I have two of these and they are absolutely gorgeous browbands that hold up beautifully and are easy to clean. At $90 I think it's a bargain. The size is (based on my experience with these browbands) suitable to an average-sized head. Talk to the owner Pat if you have any questions, she is a very careful advisor and will not steer you wrong. I can't get this to "link" to a site (it just keeps reloading this page), and there is not a name of the Etsy shop, so I cannot go look at it on my own. Can you please provide the name of the Etsy shop that you are referring too?